The railway has during the last decades lost market shares compared to other transport modes, which may be caused by the challenging transport environment, causing breakage damage. 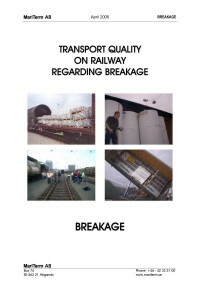 The reasons for breakage presume to be the acting forces during transport as well as the forces acting on cargo when railway wagons are shunted together. In the project we have analysed the breakage extent and the underlying reasons as well as identified the actions limiting the risk of breakage occurrence. 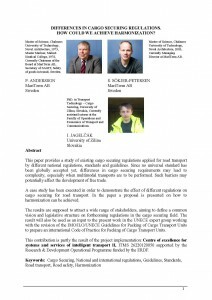 If the problems with breakage can be limited there is a large market of high valued cargo which can be transferred from road- to railway transports. The report can be downloaded as a pdf-file through this link. A PowerPoint presentation about the project can be downloaded through this link. A press release including pictures can be downloaded through this link. 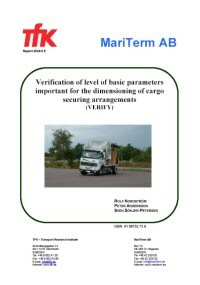 The VERIFY project was accomplished during autumn 2004 with the purpose of verifying the basic principles that should be used in the common guidelines for cargo securing within EU. 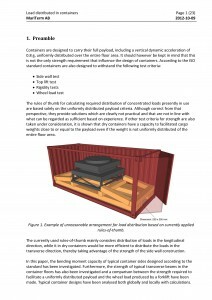 Differences between principles mentioned in the internationally accepted guidelines, through IMO, were compared with principles mentioned in the European standard EN12195-1 as well as in the German VDI 2700 standard. 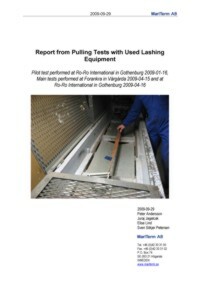 When the Swedish road administration through VVFS 1998:95 amended the TSVFS 1978:10 regulations about cargo securing onboard road vehicles, conditions for rational cargo securing were arisen. 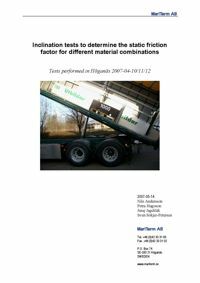 On road vehicles equipment for rational cargo securing is missing to a large extent, which limits the possibility of improvements. The industry took with this consideration in mind, the initiative to the RASLA project, with the purpose to develop proposals on equipment which should give drivers and shippers the possibility to fulfil the securing of cargo easier and faster. 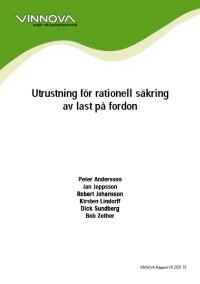 The project has been titled “Utrustning för rationell säkring av last på fordon- RASLA” (eng. 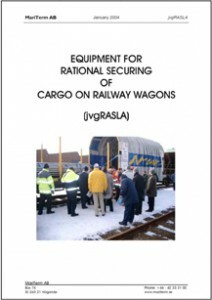 ”Equipment for rational cargo securing onboard road vehicles- RASLA”). The report discusses rules for transport of grain in bulk. Existing international rules, which chiefly also apply for transports in the Baltic area, have primarily been worked out according to proposals from the big grahttp://en.mariterm.se/wp-admin/post.php?post=95&action=editin exporting countries, USA, Canada and Australia. As basic material when setting up the rules, large bulk ships in ocean-going traffic have been used. 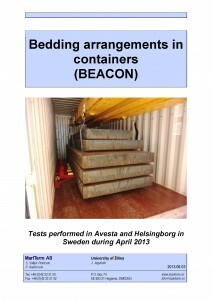 For further information on our publications, please contact Peter Andersson telephone +46 42 33 31 01.